I am an inventor, academic, and serial entrepreneur with a passion for creating and fostering innovative new ideas and growing them into sustainable businesses. My goal is to bring the best technology to fruition and to help engineers and developers make a living doing what they love. My research and commercialization focus is on building smart technologies for a changing world through the thoughtful application of sensing, connectivity, inference, and actuation. In my academic pursuits, I help my students invent disruptive technologies and learn to become leaders and practitioners in emerging industries. For a more visual overview of my projects, please see my design portfolio. The latest print version of my Curriculum Vitae is available as a PDF and up-to-date citation counts are available from my Google Scholar page. Teaching Interests: Internet of Things; connectivity and pervasive sensing, product design, manufacturing, automotive, robotics. I worked with Professor Sanjay Sarma and the members of the Field Intelligence Laboratory, researching vehicle prognostics, sensors, data mining, and Internet of Things architecture. Much of my research related to the value in open data standards, data interoperability, and the use of machine learning to optimize vehicle efficiency, performance, and reliability. Thesis: "Data proxies, the cognitive layer, and application locality: enablers of cloud-connected vehicles and next-generation Internet of Things"
I received my S.M. degree in Mechanical Engineering, continuing in the Field Intelligence Lab under the supervision of Professor Sanjay Sarma. Thesis: "CloudThink and the Avacar: Embedded Design to Create Virtual Vehicles for Cloud Informatics…"
Addressed accuracy and privacy concerns for aforementioned technologies, including development of anti-spoofing technology for vehicle data collection systems. I received my S.B. degree in "Product Design and Operation Management," as recommended by the Department of Mechanical Engineering (Course 2A). I concentrated in Literature. Thesis: "Design, Development, and Validation of a Remotely Reconfigurable Vehicle Telemetry System for Consumer and Government Applications"
"System and Method for Providing Road Condition and Congestion Monitoring Using Smart Messages"
While corporate accolades would not typically appear on a Curriculum Vitae, several are included here for your reference. These accolades are a marker of my entrepreneurial spirit, and the majority of awards, recognition, and articles presented here were garnered when I was the sole proprietor and sole employee of my venture, CarKnow. As such, they are as much a reflection on myself as on any corporate entity, and they are deemed worthy of inclusion herein. I research the Internet of Things, pervasive sensing, autonomous vehicles, AI, and cybersecurity. I research architectures for the Internet of Things and applications of pervasive smartphone data to ve- hicle (and other object) failure prediction. Working with World Economic Forum to develop workshop on IoT and to author “Transformation Map” report on IoT. Currently supervising several student researchers with projects focused on the Internet of Things, pervasive sensing, and data analytics. DataDriven builds upon my Ph.D work to apply pervasive mobile phone sensing for the proactive detection of vehicle faults. Early detection of vehicle failures allows simplified response with reduced cost, and assures increased vehicle lifetime efficiency. I lead a team of researchers and businesspeople to identify and address the most significant in non-OBD vehicle diagnostics. I research context- and cognition-based secure and efficient architectures for the Internet of Things, as well as the application of pervasively-sensed data to vehicle failure prediction and design optimization. These architectures will allow more devices to be connected to the Internet, facilitating the richer data generation, sharing, and analytics necessary to build intelligent devices. Submitted five new manuscripts for consideration, since starting as a postdoctoral associate in June. These relate to the Internet of Things, network device security, connected vehicle design considerations, and data-informed applications for improving vehicle efficiency and reliability. CarKnow commercialized my S.B. and S.M. research, building a platform for universal automotive application development, curating an app store for vehicles, and serving as a data broker for third parties. The company has a focus on embedded hardware and software, web applications, and intelligent IoT platform design, as well as vehicle reverse engineering and security analysis. Today, CarKnow primarily provides vehicle computer, network, and data analysis consulting services. Press mention on AOL Media's "Translogic," The New York Times, Fox Sports Network WGME Maine, CW31 Sacramento, AutoBlog and more, including IoT whitepapers and startup profiles. Participated in FIRST, FIRST LEGO League, Robofest, and SME and Trinity (fire fighting) Competitions. Siegel, Joshua. "CarKnow: Avacars Enabling Virtual Vehicles." SENSORS Expo 2014. Rosemont, IL, USA. Siegel, Joshua. "CloudThink: Using ‘Avacars’ to Solve the Vehicle Data Access Problem" --- BMW/EURECOM Summer School, "Highly Autonomous Driving in the Internet of Things." Siegel, Joshua. "Local Viscosity Control Printing." MIT deFlorez Competition 2015. Cambridge, MA, USA. Siegel, Joshua. "CARduino and CloudThink." MIT deFlorez Competition 2013. Cambridge, MA, USA. Siegel, Joshua. "Remotely Reconfigurable Vehicle Telemetry System and Supporting Applications." MIT deFlorez Competition 2011. Cambridge, MA, USA. Siegel, Joshua. "Wearable Non-Contact AC Voltage Detector." MIT deFlorez Competition 20110. Cambridge, MA, USA. For up-to-date citation counts, try my Google Scholar page. BT. Kumaravel, R. Bhattacharyya, J. Siegel, S. Sarma, N. Arunachalam. “Development of an Internet of Things enabled manufacturing system for tool wear characterization.” Proceedings of IEEE International Symposium on Robotics and Manufacturing Automation 2017. J. Siegel, S. Kumar, I. Ehrenberg, S. Sarma. “Engine Misfire Detection With Pervasive Mobile Audio.” Proceedings of ECML-PKDD 2016. J. Siegel, R. Bhattacharyya, A. Deshpande, S. Sarma. “Smartphone-Based Vehicular Tire Pressure and Condition Monitoring.” Proceedings of SAI Intelligent Systems 2016. J. Siegel, R. Bhattacharyya, A. Deshpande, S. Sarma. “Smartphone-Based Wheel Imbalance Detection.” Proceedings of DSCC Conference 2015. S. Mayer and J. Siegel. “Conversations with Connected Vehicles.” Proceedings of IoT 2015. J. Siegel, R. Bhattacharyya, A. Deshpande, S. Sarma. “Vehicular Engine Oil Service Life Characterization Using On-Board Diagnostic (OBD) Sensor Data.” Proceedings of IEEE Sensors 2014. Paper invited for submission into Special Issue Journal. J. Jurewicz, G. Pamanes, Y. Suk Jo, P. Yen, J. Siegel, C. Jacoby, D. Dorsch, A. Winter. "Design Of A Clutch-Less Hybrid Transmission For A High-Performance Vehicle." Accepted to ASME 2015 International Design Engineering Technical Conferences & Computers and Information in Engineering Conference. J. Siegel, S. Kumar, S.Sarma, "The Future Internet of Things: Secure, Efficient, and Model-Based," Early Access. IEEE IoT Journal. J. Siegel, R. Bhattacharyya, S. Kumar, S. Sarma, "Air Filter Particulate Loading Detection using Smartphone Audio and Optimized Ensemble Classification," November 2017. Engineering Applications of Artificial Intelligence. J. Siegel, D. Erb, S. Sarma, "A Survey of the Connected Vehicle Landscape -- Architecture, Enabling Technologies, Applications, and Development Areas," Early Access. IEEE Transactions on Intelligent Transportation Systems Journal. J. Siegel, D. Erb, S. Sarma, "Algorithms and Architectures: A Case Study in When, Where and How to Connect Vehicles," Forthcoming / accepted. IEEE Transactions on Intelligent Transportation Systems Magazine. J. Siegel, D. Erb, I. Ehrenberg, P. Jain, "Local Viscosity Control Printing for High Throughput Additive Manufacturing of Polymers," December 2016. 3DP+ Journal. “Bad (Internet of) Things." Computerworld, November 30, 2016. “Imagining the `Connected' Car of the Future." Science Friday, September 30, 2016. J. Siegel. “Lansing stunts the automotive technological revolution." The Detroit News Editorial Section, May 5, 2016. J. Siegel, S. Kumar, "Cloud, Context, and Cognition: Paving the Way for Efficient and Secure IoT Implementations." Accepted to "Integration of Cloud Computing, Cyber Physical Systems, and Internet of Things." Pending publication; 2018. J. Siegel, S. Pratt, YB. Sun, S. Sarma, "Design and Implementation of Real-Time Deep Neural Networks Facilitating Internet-Enabled Arc-Fault Detection and Circuit Interruption," Submitted to IoT Design and Implementation 2018. Many papers will be made available for download on this site depending on licensing terms. Typically, IEEE and ASME allow for the sharing of "accepted" but not "published" versions of these papers for personal use. Please contact me at jsiegel(@)msu.edu if your use qualifies and I will be happy to provide these versions. This patent grant describes the use of a smart message to provide road and congestion monitoring information to remote servers. This patent grant describes a system improving the deployability and safety of remote software updates. This patent application describes a novel type of bulk 3D printing that relies upon varying the rheological state of a polymer to locally modulate viscosity and deposit entire layers of material in parallel, a substantial rate improvement over both conventional FDM and SLA (including multi-extruder and DLP technologies). This patent application describes a new transmission architecture that maximizes performance and efficiency for hybrid vehicles. It was the result of a class project in collaboration with an Italian supercar manufacturer. This patent application describes an approach to using audio data for identifying common vehicle faults. This provisional patent application describes an approach using smartphone data for identifying vehicle wheel and tire maintenance needs. This provisional patent application describes an approach to applying context and cognition information to creating a secure and efficient implementation for connected systems such as those found on the Internet of Things. These disclosures span vehicle systems, prognostic algorithms, and Internet of Things related research. I have been involved with panels and provided interviews and consultations for dozens of major consulting firms and media outlets. Some of these contributions have been published in the NYT, WIRED, Consumer Reports, and Science Friday and as parts of whitepapers for the "big three" consulting groups. I am a frequent contributor and "ghostwriter" for internal corporate presentations on the topic of the Internet of Things and On-Board Diagnostics. Many presentations will be made available for download on this site. If a presentation you would like is not yet listed, please use the contact form to make a request. Note that many investor or other privileged presentations may not be sharable. 2.008 YoYo - In this course, a team of students designed and produced 100 yo-yo's of a custom design, containing parts that were injection molded and thermoformed. 2.008 PCB Presentation - This was my final presentation for Design and Manufacturing II, and the basis for a lecture I gave when I served as a Teaching Assistant for the course in 2012. 2.009 IceTek Ice Scraper - This product was our electrically-actuated ice scraper, designed as part of a team project for MIT MechE's capstone engineering course. 2.752 GreenWheel Presentation - This presentation was our final deliverable (along with business plan and patent disclosure) for Precision Machine Design. The GreenWheel was based off of Arthur Petron's graduate research; during the class, I helped to design a wireless control interface PCB. 2.739 Car Organizer / Charger Presentation - This product was part of a collaborative course between MIT and RISD students. A major portion of the product development process revolved around conducting user studies, and building the product to address particular stakeholder needs. 2.744 Corner Keepers Presentation - This product was produced for a graduate level design course, sponsored by an office supply company. The product was well received and several competitors are sold today. CMS.100 Top Gear Paper - This paper is a summary of the impact the TV show "Top Gear" has on people's everyday lives. It was published on MIT OpenCourseWare. 2.96 FireHosed Business Plan - This business plan was developed as part of a management in engineering course ,and was similar to the demand aggregation that a GroupOn model provides. 2.671 Impact of Acceleration on Heart Rate - This paper and poster combination was written as part of a communications intensive instrumentation and measurement course. 2.S998 EagleTurkey Bridge - This bridge addressed a competition designed to challenge students to build the strongest (strength:weight) bridge possible using consumer-grade FDM printers. 2.S998 Final Report - In this course, we developed a novel type of bulk 3D printing. 2.76 Final Report - This class tasked students with developing products for a global marketplace. This report discusses the design and optimization of a high-performance hybrid vehicle transmission. As part of my coursework, I worked with a team of students to develop and prototype new transmission concepts for a supercar manufacturer. This concept is the subject of a provisional patent and may be developed further by the company. Our group flew to the corporate headquarters to present this concept, where it was favorably received. MAS.552 Final Trip - This class focused on changing the perception of the micronation Andorra. This trip finalized months of work, researching topics from how to cultivate an entrepreneurial ecosystem to how to deploy autonomous vehicle technology. My work focused on designing low-cost, vision-based autonomous vehicles. The course, and our work, received a lot of press. These presentations and papers will be made available shortly. In the meantime, a small portion of these documents is available at SiegelAutomation, my (outdated) portfolio site. For immediate access, please use the contact form. Responsibilities included writing exams, homework assignments, holding office hours, and proofing lectures. Guest lectured, covering topic of PCB DFM/A and manufacturing processes. PI/Manager for UROP (Undergraduate Research Opportunity) students, summer interns, and visiting students. Projects include embedded hardware and software, mobile software, battery test stand design, and data analytics. These are conferences I attended where I was not a presenter. Conferences where my work was published will appear as a citation in the publications sections of my CV. [SmartPlanet] The connected car: safer or a hazard on four wheels? [Slice of MIT] Graduate Students "Cure it" and "Drive It"
I have experience working with companies to scope, negotiate, and conduct new research engagements. With MIT's Industrial Liaison Program (ILP) and Office of Sponsored Programs (OSP), I helped define a collaborative project with a major automotive OEM that funded two PhD students for two years each, with additional funding for project resources. Additionally, I played a key role in securing and retaining funding for two other graduate research projects. 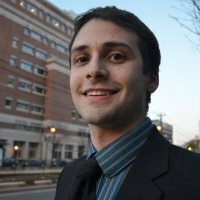 Not all ILP meetings are hosted with the intent to fund a project -- many companies simply come to MIT to learn about a particular technology landscape, or to evaluate the feasibility and potential of joining ILP as a member company or becoming a sponsor of a consortium or specific project. References will be made available to interested parties upon request. © 2016-17 Josh Siegel. All rights reserved.